At this time, we are currently looking for Freshman level (0-10 births) Birth Doula with a service area that includes Seattle, the Eastside and somewhat north (Bothell, Mill Creek, possibly up to Everett would be ideal). We are also looking to add an Overnight Postpartum Doula to service these same areas. Must have a “Calm and Confident” feel- this is what our clients are looking for! Imagine not having to scramble for leads on potential clients. Imagine having an experienced mentor just a phone call away. Imagine having a team of other doulas there to support you, back you up, and help you grow as a doula. Imagine being able to focus on supporting families and not on building your business. Imagine getting the education, information and support you need to fill the gaps left from your initial doula training. Melinda Ferguson, AdvCD/PCD/PDT(DONA) has been a doula since 2004 and trainer of doulas since 2008. In 2016, she was getting more inquiries from potential clients than she could take on and increasingly saddened to see promising new doulas struggle to succeed after being trained. So she decided to expand Calm & Confident Doula Care to an agency model, supporting doulas and clients in connecting, providing the support to doulas they were thirsty for and making it easier for expectant families to find the right doula for them. Affiliated doulas decide themselves how many clients and shifts they are able to take on. 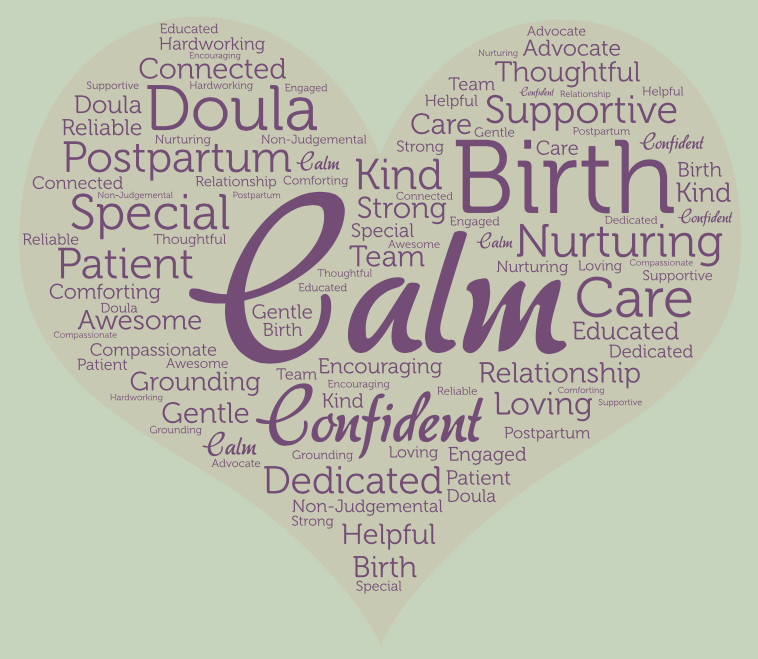 They may take on clients from outside of Calm and Confident Doula Care, LLC (C&C), but are expected to keep Calm and Confident apprised of availability regularly. C&C collects all client fees and will keep 25% as expense for management of the business. Doula compensation is tiered, based on experience and package purchased by the client. Doulas are independent contractors and are expected to provide service to the clients as outlined in the Calm and Confident Doula- Client agreement. All doulas are expected to be either Certified, or working towards certification with DONA, CAPPA, PALS or NAPS, and to independently carry liability insurance. Affiliated doulas must agree to abide by the DONA Standards of Practice and Code of Ethics, regardless of their membership status with DONA. All referrals that come to the doula as a result of their association with C&C shall be referred back to C&C. Doulas are expected to provide back up for other team members whenever it is reasonable to do so.